The Serpentine has launched its second Digital Commission, a mindfulness app for iOS in which you assume precarious control of Bad Corgi, a dwarfish demon pup tasked with benignly herding sheep and avoiding distraction in a world of chaos. 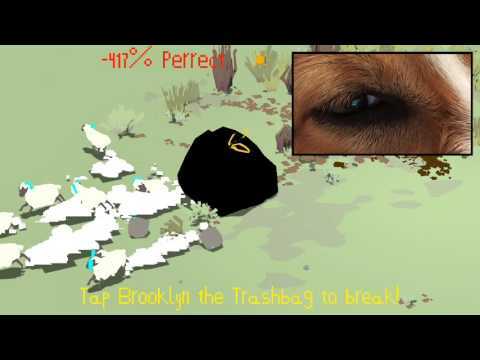 Available to download now from the Serpentine’s website and iTunes store, Bad Corgi is set in an interactive simulation where players experiment with opportunities to pollute the herd, lose points and experience loss of control over their canine protagonist. Bad Corgi reflects on the human mind’s mercurial states of focus, distraction, discipline and uncanny ability to become possessed by an inner impulsive autopilot. Bad Corgi is a new app by New York-based artist Ian Cheng whose influences draw on an education in Cognitive Science, a stint at George Lucas’s special effects company Industrial Light & Magic and a fascination with the dynamics of unpredictable systems. 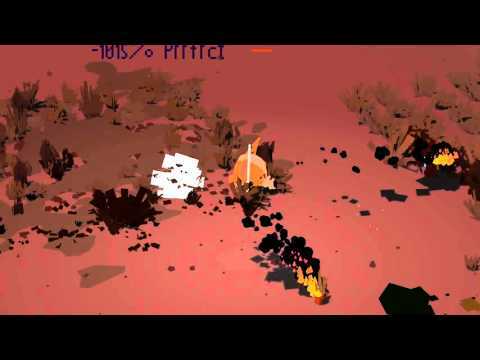 Using algorithmic modelling techniques commonly employed in the gaming industry, Cheng creates simulations in which virtual objects and characters are programmed with basic behaviours and then unleashed upon each other. In the little world of Bad Corgi, the player is subjected to various stress conditions in which control of Bad Corgi is quite literally seized by other forces, leaving the player to accept misbehaviours on the part of Corgi and the app itself. Created using the world’s finest materials at the hands of master craftsmen and women, Rolls-Royce motor cars transcend their primary means as a form of conveyance to become works of art themselves. The Rolls-Royce Art Programme formally acknowledges the super-luxury car manufacturer’s shared ethos with the world of art, which has been an integral to the brand since its inception. The programme comprises in-situ commissions, partnerships with leading arts organisations, a series of art talks featuring emerging and established artists and private art tours and drives. The Programme seeks to foster creativity and to enable artists to explore new areas of their practice. During 2015, Rolls-Royce has focussed on digital art, producing in-situ projects by artists from around the world including Isaac Julien, Morgan Wong, Ana-Maria Tavares, Carlos Rolón and Manal Al Dowayan. Previous collaborators have included Erwin Wurm, Angela Bulloch, Michael Zavros, Ugo Rondinone, Regina Silveira, Will Cotton, John Armleder, Marie-Jo Lafontaine, Reza Derakshani, Tomás Saraceno and Karl Lagerfeld. For further information, please visit www.rolls-royce-art.com. AGNES is a digital commission by Cécile B. Evans, the first in a series of digital commissions that coincided with the launch of the new Serpentine website and the opening of the Serpentine Sackler Gallery.